If you need an explanation why, here it is. If there's one thing I want in this world, Internet, it is for the New York Yankees baseball club to win their next game and take on the Texans for the American League pennant. 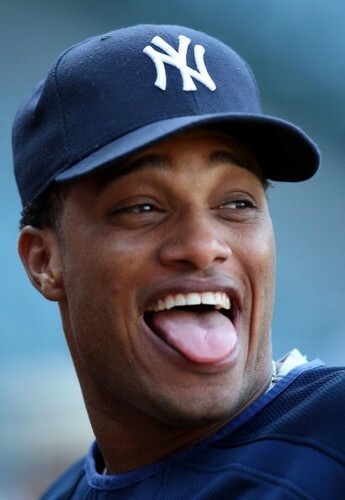 This is Ivan Nova. He is a starting pitcher for the New York Yankees baseball club, and I wish him a successfull, error free and strike out filled next outing. This is another very famous, very well paid New York Yankees baseball playing Yankee, for whom I wish nothing but the best. May this stadium be filled to the brim with jubilation, and not become a pool for Yankee fan tears. Nat Topping loves the New Zealand All-Blacks. Let's see what that does to the world of rugby. I like this Mike Bauman guy. And thank you Nat. It had to be done. It worked! It worked! Spot-on incantation, Nat! Hooray!